White Coat Waste Project has exposed how the U.S. Department of Veterans Affairs (VA) has been using your tax dollars to conduct wasteful and painful experiments on dogs. VA's experiments include giving 6-month-old hound puppies heart attacks, drilling into beagles' skulls, and severing "friendly" dogs' spinal cords. The VA is the only agency conducting "maximum pain" experiments on dogs in which significant pain is unrelieved. Following our campaigning, Congress has enacted legislation to cut funding for and dramatically restrict VA dog experiments in 2018 and 2019, but the VA is skirting the restrictions and we need to make this de-fund permanent. 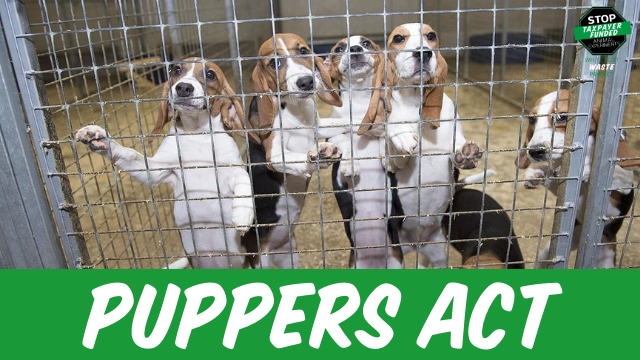 Urge your Congress members to cosponsor the bipartisan Preventing Unkind and Painful Procedures and Experiments on Respected Species (PUPPERS) Act (HR 1155) to permanently stop taxpayers' money from being spent on the VA's wasteful and cruel dog experiments.